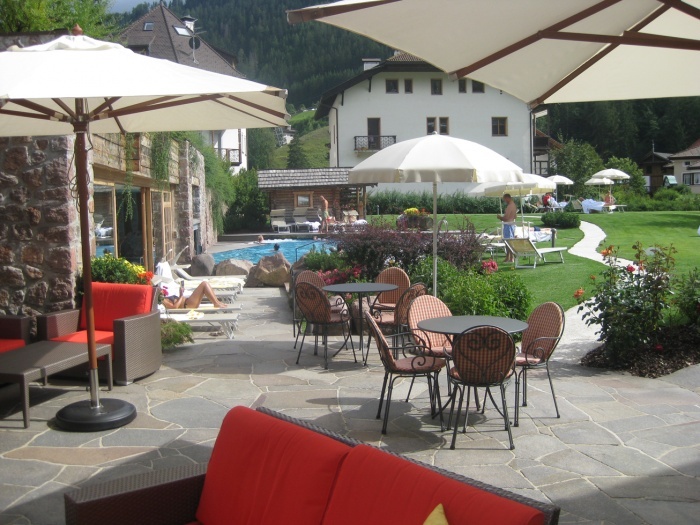 Hotel Angelo**** located near the centre of Ortisei is, at any time of the year, an ideal starting point for your skiing day, mountaineering, walking or cycling. Every day, summer and winter, the local guide of the hotel takes our guests to the most scenic spots and the best ski slopes through these incomparable mountains, the Dolomites. Next to the grown tradition of the family run hotel, always keeping up with the new achievements and holiday trends, in Hotel Angelo we stick to forces that already made the old �Gasthof zum Goldenen Engel� to a favoured meeting point for travellers and holiday makers: Selected food of the local and Mediterranean kitchen, personal care, relaxed and informal atmosphere. The rooms and the hotel furnishings are kept in style of the local architecture and mostly made of pine and national nut wood. For your beauty and relax, the hotel offers a well equipped SPA area, with the pools, whirlpool, saunas and steam bath, gym room and sun bed. 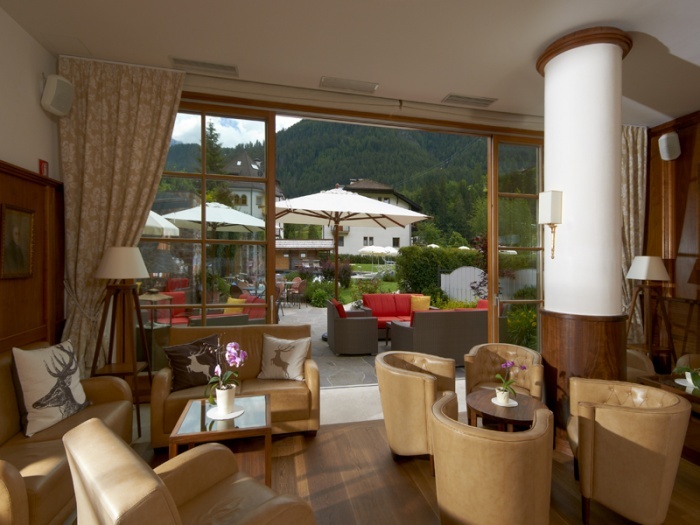 A team of well trained beauty specialists offer a range of treatments and cosmetic applications; all you need to regenerate body and spirit after an active day of sporting in the Dolomites. 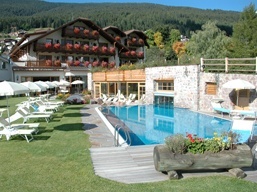 Hotel Angelo**** is located near the centre of Ortisei. Surrounded by the unique Dolomites, since 2009 part of UNESCO nature world heritage, our hotel-garden, with its indoor and outdoor pools heated all year round, offers the best conditions to relax and recover from the hectic of everyday life. Its nearness to the uphill facilities of the Dolomiti Superski, famous for the Sella Ronda, and to the pedestrian area of Ortisei, offers the best prerequisites for an exciting, comforting, unforgettable mountain holiday.